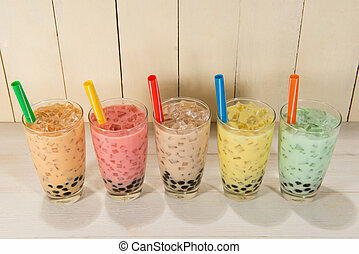 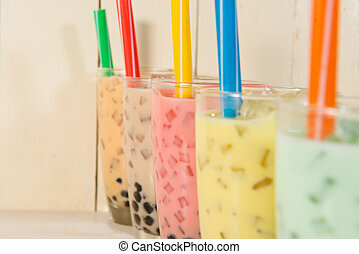 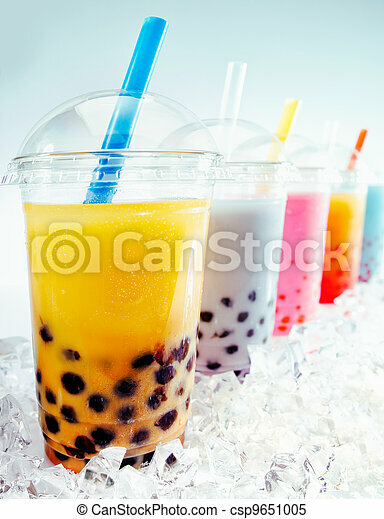 Assorted fruity boba tea cocktails in a row on crushed ice. 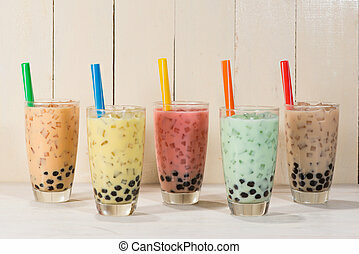 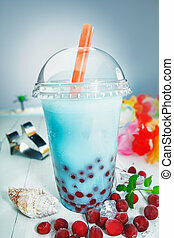 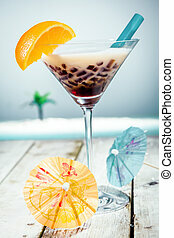 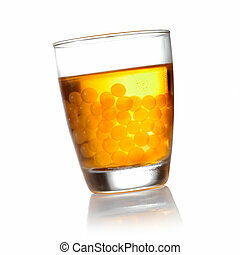 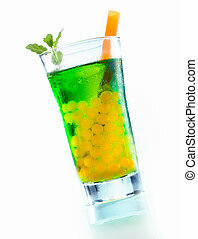 Boba / Bubble tea. 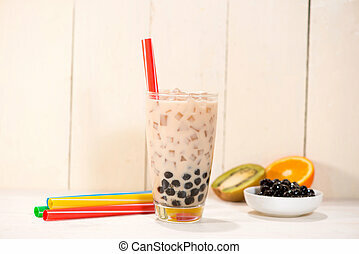 Homemade Various Milk Tea with Pearls on wooden table. 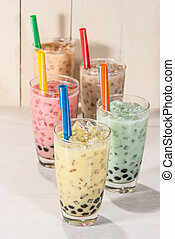 Boba / Bubble tea. 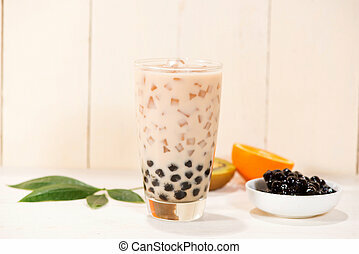 Homemade Milk Tea with Pearls on wooden table. 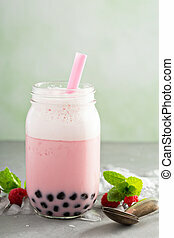 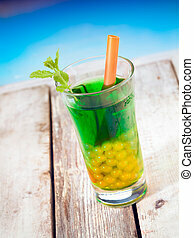 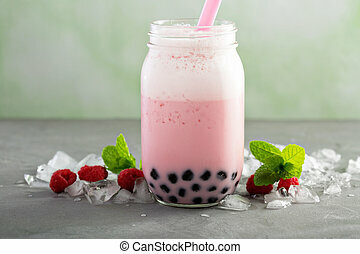 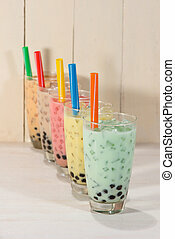 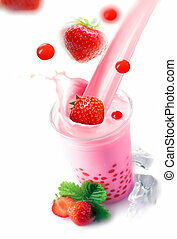 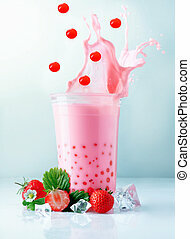 Bubble tea. 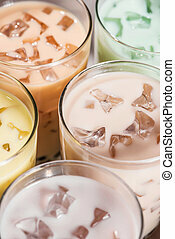 Homemade Various Milk Tea with Pearls on wooden table. 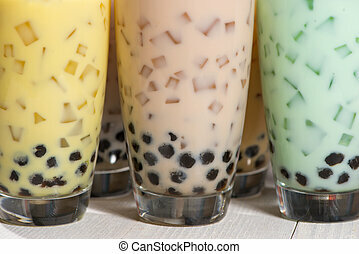 Three different boba tea cocktails with mango, orange, coffee and lime flavored. 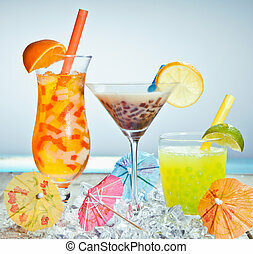 With paper umbrellas. 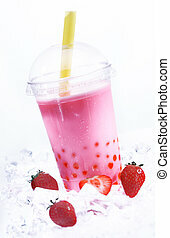 Strawberry Boba Bubble Tea with fruits and crushed ice. 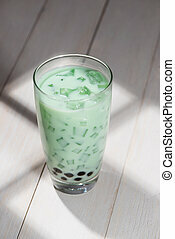 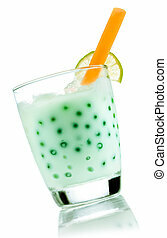 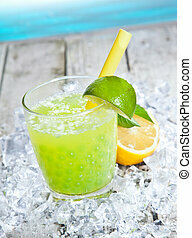 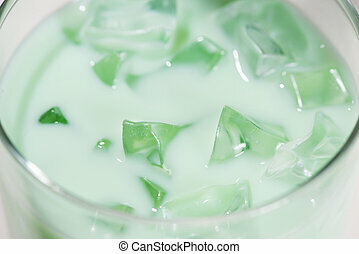 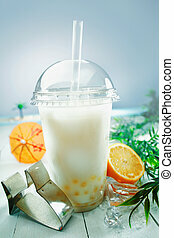 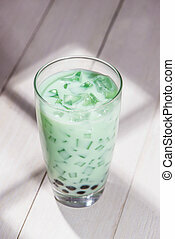 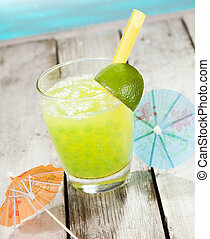 Boba bubble Tea with fresh lime Bubbles isolated on white with beautiful reflexion. 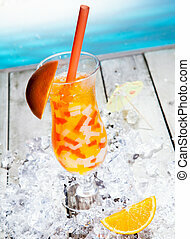 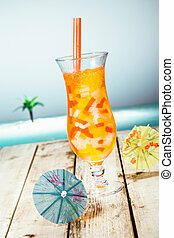 Mango Boba Cocktail Tea standing in front of a beach background with beautiful paper umbrellas. 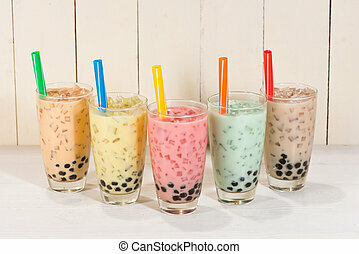 Fruity Boba Cocktail Tea standing in front of a beach background with beautiful paper umbrellas.